Skirts can be long, short, and anywhere in between. Here at EcoClean we think all skirts should be treated with the utmost care and respect. Whether you're wearing a skirt suit, a ruffled skirt, or a wrap, you deserve to feel confident and comfortable. EcoClean is committed to keeping your garments in like-new condition so that you're always ready to impress no matter your style. The proper process to clean a skirt can depend on shape, color, and material. At EcoClean, we thoroughly inspect each piece of clothing to identify any stains or special characteristics of your garment. Once the garment is safely cleaned using our gentle eco-conscious detergents, our staff hand presses each item before preparing it for pick-up or free delivery. You can be sure that your skirt will be ready to impress upon pick-up from one of EcoClean's convenient locations. We've even got your back if you're in a tight spot. Our express cleaning service guarantees your garment in 24 hours, and it is also free of charge! 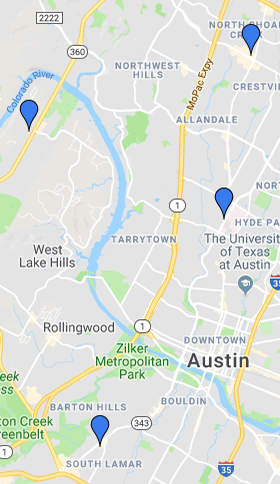 Just give us a heads up that you would like express service when you schedule your free pick-up or drop off your garment at your nearest EcoClean location in Austin, TX!